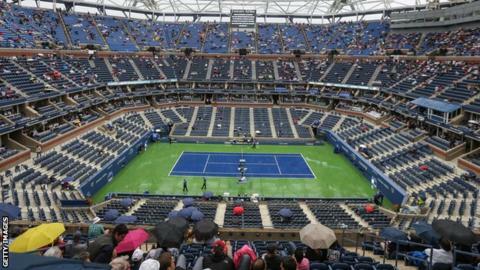 A Croatian umpire who worked at the US Open despite being suspended as part of a betting investigation has been given a 10-year ban. Denis Pitner was originally banned for a year in August for passing on details about a player's fitness and accessing an account used for betting. But a United States Tennis Association error meant he was able to work at Flushing Meadows for the 2015 event. Pitner's suspension will run until 19 April 2026. The ban covers any officiating at Grand Slam tournaments and events organised or sanctioned by the ATP, WTA and ITF. The suspension of Pitner and a life ban for Kazakh umpire Kirill Parfenov were revealed following a Guardian investigation earlier this year. Despite his original ban, Pitner also successfully applied to work at the Qatar Open in Doha in January. The International Tennis Federation also revealed he applied to work at this year's Wimbledon Championships.